You are here: Home / Great Deals / Starfish Tote Only $19.99! How about a snappy tote to give you summer sunshine? This bag has a durable canvas construction with a roomy interior to stash daily necessities. 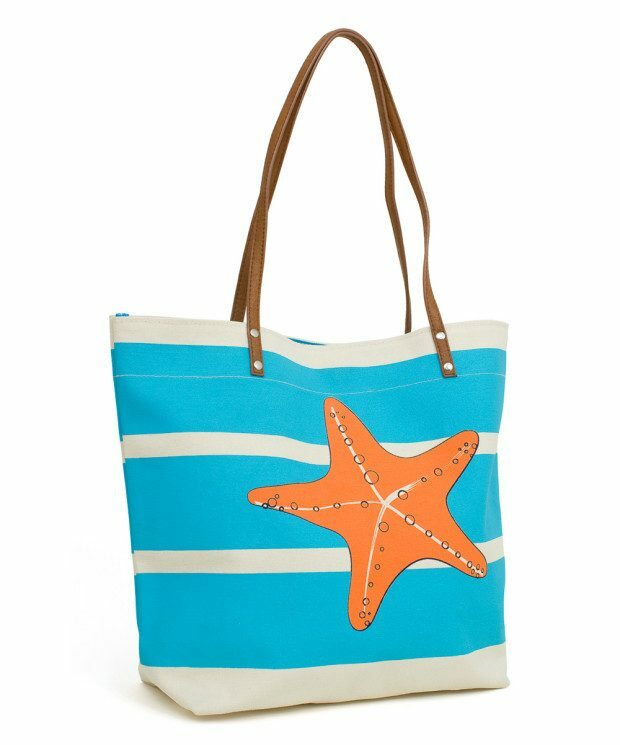 Get the Natural & Turquoise Starfish Tote for only $19.99! This is a nice size bag (14″ by 17.5″) with a zip closure to keep all your summer goodies secure!